BC Pinot Noir Celebration early bird tickets on sale now through May 1! You're going to want to jump on this. Niche Wine Company will be there along with all our favoruite BC Pinot producers ( 50th Parallel Estate Winery | 8th Generation Vineyard | Arrowleaf Cellars | Averill Creek Vineyard | Black Swift Vineyards | Carson | Cedarcreek Estate Winery | Fitzpatrick (Bubbly Reception) | Hillside Howling Bluff | Joie Farm | Kitsch Wines | Laughing Stock | Lightning Rock Winery | Meyer Family Vineyards | Mirabel Winery | Mission Hill | Monte Creek Ranch | Moraine | Nk'Mip | Noble Ridge | O'Rourke's Peak Cellars | Quails' Gate | Roche | Savard Vines | Scorched Earth (PASK) | Spearhead Winery | Stags Hollow | Stoneboat | Tantalus | TH Wines | The View Winery | Tinhorn Creek Vineyards | Unsworth Vineyards). The event kicks off on August 17th with a sparkling reception and keynote address by Madeline Puckette, certified sommelier and author of New York Times Bestseller, Wine Folly: The Essential Guide to Wine. There will be a courtyard tasting salon with BC's top Pinot Noir producers complements exquisite culinary creations prepared by local Chefs from Joy Road, Waterfront Café and Catering, Frankie We Salute You, Old Vines Restaurant at Quails’ Gate Winery, Vice and Virtue, Start Fresh Catering and Vancouver’s Wildebeest followed by a cocktail-style dinner. Watch the rest of the evening unfold with live music featuring The Insiders and dancing under the stars. 3 p.m to 10:30 p.m.
A festival shuttle will be offered for $25 + gst per person round-trip from select locations in Kelowna. Must be purchased in advance. Get your tickets now and get ready to have some fun! For $25, diners can enjoy a choice of starter, main and dessert, each with suggested local wine pairing (wine is extra). Infusions is open for dinner Tuesday to Friday, 5:30 – 8 p.m. Reservations are recommended and can be made online through open table atokanagan.bc.ca/infusions. 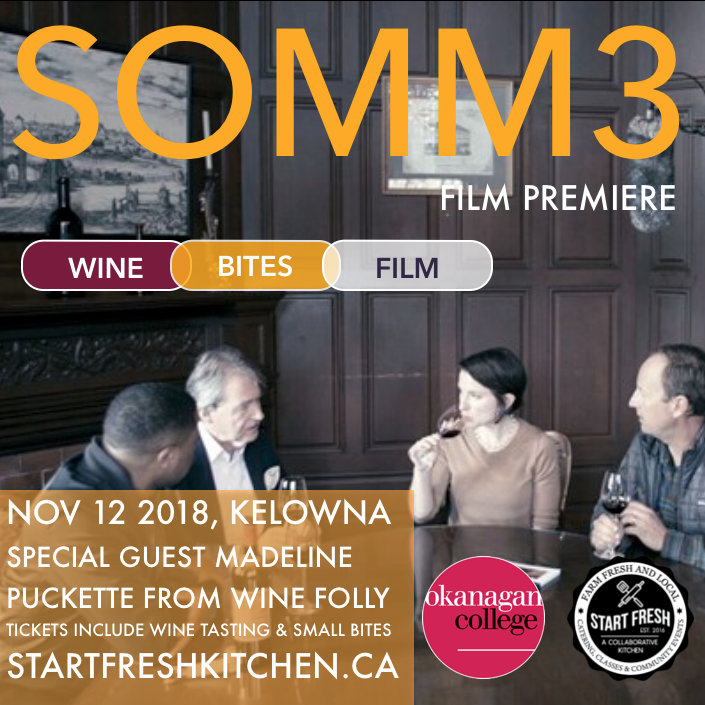 One of the top social media influencers in North America’s wine industry will be at Okanagan College’s Kelowna campus on November 12, 2018 to launch SOMM3, the latest edition of the cult wine film series. Madeline Puckette, author and illustrator of Wine Folly’s blog and books, was recently ranked just behind Decanter magazine by Social Vignerons (an online hub for wine industry news) for her influence on social media. With her popular illustrations and distilled wine information, Puckette’s graphical educational tools make it easy for anyone to learn about wine. Puckette narrated SOMM3, a provocative wine film featuring Decanter editor Steven Spurrier, renowned master sommelier Fred Dame, and wine critic Jancis Robinson. 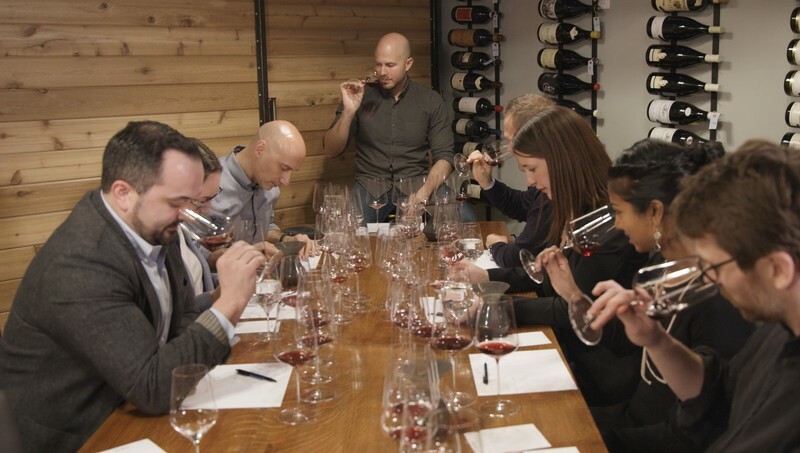 The original SOMM is the most viewed wine film on Netflix to date. Okanagan wine lovers will be able to catch a sneak peak of SOMM3 in the OC Kelowna campus lecture theatre on November 12. Guests can enjoy wine (INCLUDING NICHE!) starting at 6 p.m.; the film screening will commence at 7 p.m. The film isn’t yet available online. Local social enterprise Start Fresh Kitchen is hosting the SOMM3 film release party, which will include a book signing with Puckette, garagiste wine tasting and local small bites direct from the Start Fresh Farm. Tickets are available online at StartFreshKitchen.ca (head to the Calendar to find the event). Tickets are $38 each and include film admission, wine tastings and small bites. Learn more on theFacebook event page. Proceeds from the evening will benefit Start Fresh’s culinary and farming employment projects. Once electronica producer and graphic designer, Court of Masters certified sommelier Madeline Puckette seamlessly blends art and wine into North America’s most popular wine blog. Puckette co-founded the Wine Folly website in 2011, and has since grown Wine Folly’s social media extensions and newsletter into some of the most popular wine resources on the planet. Puckette’s most recent book, “Wine Folly: Magnum Edition,” was in the top 100 books on Amazon the day it was released, and is considered a must-have resource for wine lovers. In early 2016, Start Fresh Kitchen took root with founder chef Michael Buffett in the central Okanagan. A chef on a simple mission, Buffett and his team began facilitating culinary education programming to inspire people about food. Recognizing a greater need within local social service organizations, the non-profit program has now expanded to include teaching of employment and necessary life skills, while creating access to long-term meaningful employment. 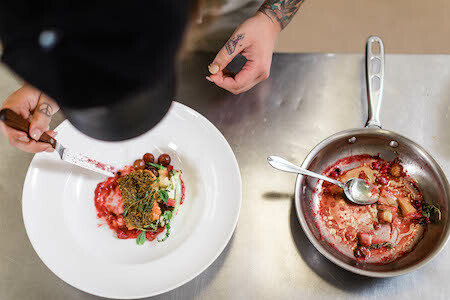 Talented chefs throughout the community bring the same knowledge and skills into the spotlight of a collaborative, community-based kitchen. Start Fresh runs a small cafe in Landmark 2, caters events, and facilitates boutique cooking and wine tasting classes. Okanagan College’s programs in Culinary Arts, Tourism and Hospitality and Viticulture and Wine Studies reflect the Okanagan Valley’s natural environment and focus on a quality learning experience that connects you with the people and places that make the Okanagan one of the leading food and wine destinations in North America. The Okanagan College learning model delivers industry-relevant real-world education from day one. Mixing a sound theoretical foundation with practical hands-on applied learning gives students the skills and savvy to hit the ground running. Okanagan College delivers quality education that ensures rewarding careers for graduates and a rich and sustainable future for the region and its communities. Okanagan College offers studies in viticulture, wine sales and winery assistant, and hosts the B.C. Wine Information Society Sensory Centre in Penticton, BC.